Hey you dirty birds! In our newest episode, Corinne and Tim stave off cabin fever by talking about Rob Reiner's adaptation of Stephen King's novel Misery. 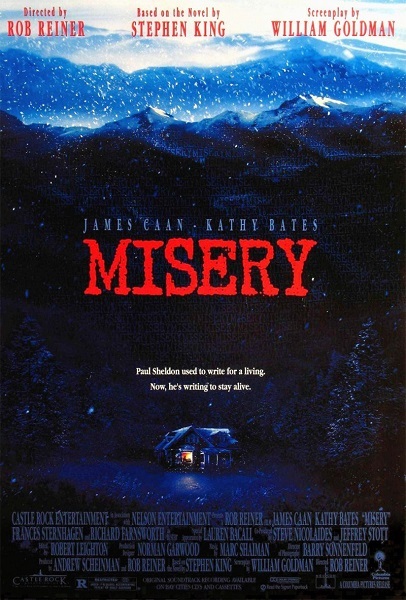 Topics discussed include how Misery might be perceived as a Christmas movie, personal examples of fandom rage, and why it's never a good idea to plan a winter visit to Colorado in a Stephen King story. Warning: Contains explicit language, spoilers, and... oh Paul! Have some Misery Chastain fan fiction you'd like to share? What manuscript would you like to throw on the barbecue? Want to explain why you're Stephen King's number one fan? Leave a comment and keep the conversation going.